bye, i'll miss you all! check out these people, they are amazing at art and won prizes in my art contest! 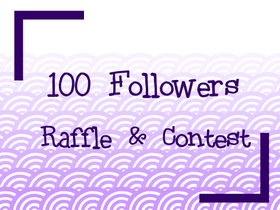 100+ Followers Raffle & Contest!